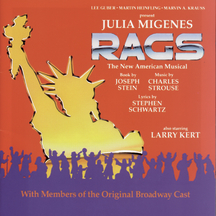 The lyrics and music of Stephen Schwartz (b. New York City, March 6, 1948) have been familiar to American musical theatre audiences since the early 1970s, with his hit shows Godspell (Off-Broadway, 1971) and Pippin (1972), both of which (when Godspell moved to Broadway in 1976) were nominated for Tony Awards® for Best Musical. His career continues to flourish with Wicked (2003) (another Tony® nomination, and a Drama Desk Award for Outstanding Lyrics), still on Broadway, and an impressive list of Oscar®-winning and -nominated scores for animated films: Pocahontas (1995), The Hunchback of Notre Dame (1996), The Prince of Egypt (1998) and Enchanted (2007). In all, Schwartz has been awarded three Oscars® and four Grammys® and has earned ten Tony® nominations. Stephen Lawrence Schwartz grew up in Roslyn Heights on Long Island and went to Mineola High School. On weekends for four years he attended the preparatory division of the Juilliard School of Music, studying piano and composition. At Carnegie Mellon University he took part in the writing and production of four musicals, one of which, Pippin, was the prototype of his future Broadway hit. He received a BFA in Drama in 1968 at the tender age of twenty. Schwartz got a job in New York as a producer for RCA Records, but did not stay long. His first theatrical success was a single song, “Butterflies Are Free,” for the play of the same name (1969) starring Blythe Danner. It got plenty of exposure, as the play ran for nearly three years. Meanwhile, another Carnegie Mellon University show came to town, John-Michael Tebelak’s Godspell, playing at Café La Mama for two weeks in early 1971. Producers Edgar Lansbury and Joseph Beruh hired Schwartz to replace most of its musical score with new songs, and opened it off-Broadway at the Cherry Lane in May. Moving to the Promenade Theatre in August 1971, Godspell became one of the longest-running musicals in off-Broadway history. It moved to Broadway in 1976, chalking up a total of over 2,600 New York performances, not counting tours and revivals. 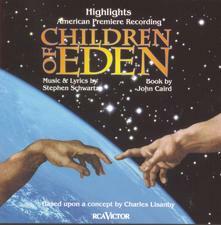 Schwartz won two Grammys® for the cast recording. Also in 1971, he worked with Leonard Bernstein on the English texts for Bernstein’s Mass, which opened the Kennedy Center for the Performing Arts in September. Hot on the heels of Butterflies in 1972 came Pippin, with direction, choreography, and revised book by Bob Fosse. It ran for nearly two thousand performances. Schwartz’s next musical was the equally successful The Magic Show, with Doug Henning, opening in May 1974. With Godspell’s move to the Great White Way two years later, Schwartz had three big hits running on Broadway at the same time. His next musical, The Baker’s Wife (1976), was a flop in out-of-town tryouts and never made it to Broadway. It remains very much alive, however, due to the cult status of its original cast album. It was produced in London in 1990 and very successfully in New Jersey at the Papermill Playhouse in 2005. 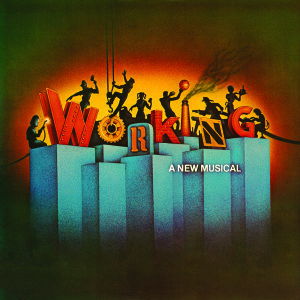 Schwartz’s next Broadway project was to adapt Studs Terkel’s Working (1978), adding four songs. His own stage direction and book won a Drama Desk Award and two Tony® nominations. Working was also presented on PBS on American Playhouse. Perhaps because his own children were absorbing so much of his attention, Schwartz turned to children’s material in the late ’70s and ’80s: a book, The Perfect Peach, in 1977, and a one-act musical, The Trip, which twenty years later was revised and expanded as Captain Louie. He also wrote music for three songs in an off-Broadway revue, Personals (1985), and lyrics to music by Charles Strouse for Rags (1986). 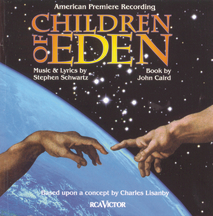 Although his 1991 Children of Eden never came to Broadway, it is a very popular show in regional theatre. In the mid-’90s Stephen Schwartz went to Hollywood as a lyricist, collaborating with composer Alan Menken on animated features for Disney. Pocahontas (1995) (“Colors of the Wind”) won him two Oscars® and a Golden Globe® in 1996; The Hunchback of Notre Dame (1996) earned him an Oscar® nomination. The first DreamWorks animation, The Prince of Egypt (1998), won Schwartz an Oscar® for the song “When You Believe”. Three Schwartz and Menken songs in the recent Disney release Enchanted (2007) received Oscar® nominations simultaneously. In 2003, Schwartz returned to Broadway, as both composer and lyricist, with Wicked. Viewing the story and characters of Oz from the witches’ point of view, the show has catapulted Stephen Schwartz into the pantheon of select songwriters who have had three musicals run on Broadway for more than a thousand performances each. (Only Andrew Lloyd Webber, Jerry Herman, and Richard Rodgers previously had that distinction. By 2007 the threshold had risen to 1,500 performances, and only Herman and Schwartz were left.) Schwartz won a Grammy® and a Drama Desk Award for Wicked; although it brought the number of his Tony® nominations to ten, he still has not won the coveted Broadway prize. Schwartz has worked comparatively little in the field of television, but his contributions have been important and open-ended: his musical Geppetto (2000), originally seen on The Wonderful World of Disney, has been developed into a stage version, Geppetto and Son, and premiered in June 2006 at The Coterie Theatre in Kansas City, MO. He also wrote the theme song for John Tartaglia’s Johnny and the Sprites on Playhouse Disney. 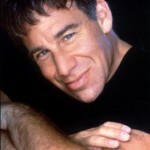 Stephen Schwartz lives in Connecticut with his wife Carole. They have two children, Jessica and Scott, now fully grown. Scott, in fact, is a budding stage director whose projects include an adaptation of Willa Cather’s My Antonia and the staging of Stephen Schwartz’s opera, Séance on a Wet Afternoon.Commissioned by Opera Santa Barbara in California, the opera, starring Lauren Flanigan, had its world premiere in September 2009. Schwartz serves on the ASCAP board and runs musical theatre workshops for its Foundation in New York and Los Angeles; he is president of the Dramatists Guild of America. He already has a star on the Hollywood Walk of Fame. He received the Richard Rodgers Award for Excellence in Musical Theater in May 2009 and was inducted into the Songwriters Hall of Fame in June. A biography and overview of Stephen Schwartz by Carol de Giere, Defying Gravity, was published in 2008 by Applause Theatre and Cinema Books.